Pop’s Malt Shoppe took many forms before it grew into the shop we know today. 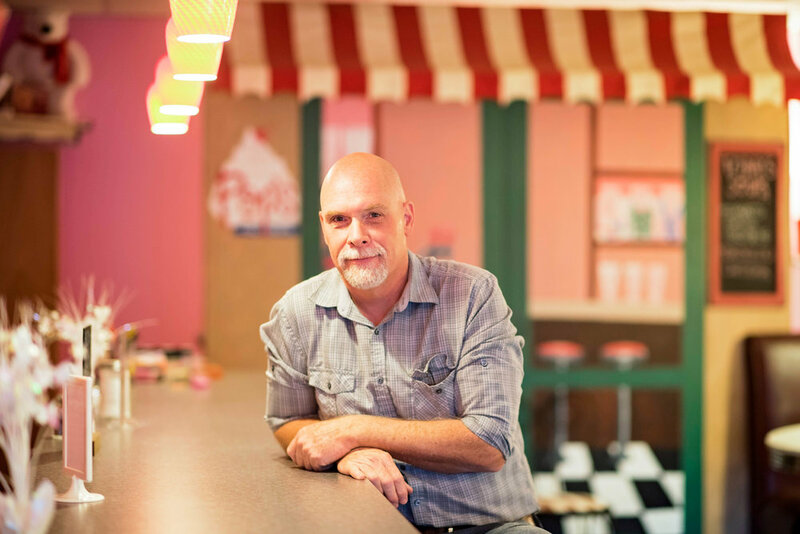 In 2004, Owner Joel Seidel (aka "Pop") spent months creating and constructing the feel of a 50′s malt shoppe. He opened in 2004 with a simple menu, consisting mostly of soft serve, sundaes, flurries, and hot dogs. Since Pop’s was created in 2004, it continues to grow each year and has become a great place for family and friends to dine in a unique environment, where we allow each of our customers to be part of Pop’s. Each year we strive to make Pop's better for our staff and community. In Spring 2014, we introduced a full menu featuring burgers, sandwiches, specialty drinks, hot dogs, hamburgers, french fries, smoothies, malts, shakes, sundaes, waffles, floats, and all things ice cream. Our vintage style 50′s malt shoppe provides a “down-home” feel with a family-friendly atmosphere that appeals to all ages. Come see us for a treat or have it delivered to your doorstep! We pride ourselves in creating a fun and friendly atmosphere paired with outstanding customer service. That being said, we carefully select each staff member among hundreds of applicants to be part of our team. We work hard, but Pop's is a fun place with endless opportunities to gain experience in the food industry. Our staff, family, friends, and customers have all become a huge part of Pop's through events and everyday life at the shoppe. We love being part of the Kutztown Community and the "small town" feel it provides.